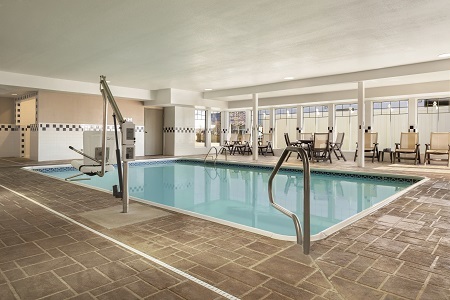 Please note that the hot tub in the pool area is no longer available. 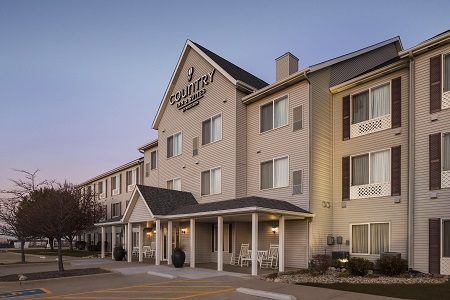 The Country Inn & Suites® by Radisson, Bloomington-Normal Airport, IL provides the perfect stay for family vacations or business trips. 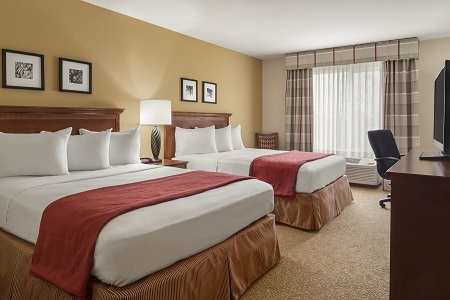 Situated next to Central Illinois Regional Airport (BMI), the hotel offers a prime location between downtown Bloomington and Normal, making it a convenient home base for guests visiting Illinois State University and Illinois Wesleyan University. Corporate guests will find easy access to local businesses such as the State Farm headquarters. 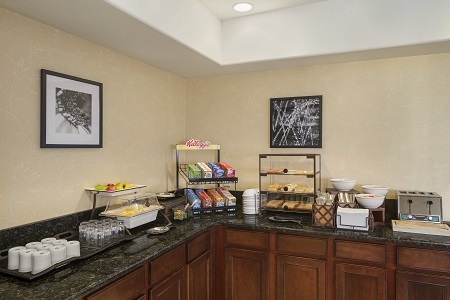 Begin your day with an assortment of waffles, eggs, bagels and other goodies at the hotel’s free, hot breakfast. When you’re searching for savory lunch and dinner options, nearby restaurants like Lucca Grill, Culver’s and Jim’s Steakhouse serve delicious meals just minutes from the hotel. Miller Park Zoo – Get up close with bears, snow leopards, red pandas and other exotic animals at this venue, located 10 minutes away in Bloomington. Prairie Aviation Museum – You’re only a 10-minute walk from the military aircraft and rotating flight-themed exhibits at this museum located on the grounds of Central Illinois Regional Airport. Grossinger Motors Arena – Just nine minutes from the hotel, this 8,000-seat arena hosts a variety of live sporting and music events throughout the year. 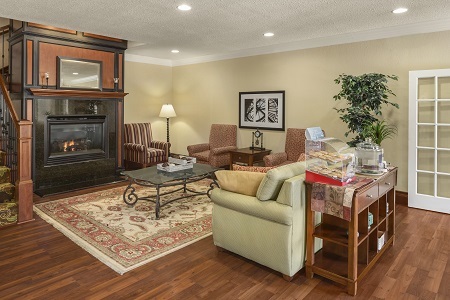 Our hotel’s meeting space comfortably accommodates 35 guests, making it the perfect spot to host your next gathering. If you’re in town for business, essential amenities like free Wi-Fi and audiovisual equipment rentals can help your presentation shine, and our location next to the BMI airport is perfect for incoming travelers.